The General Data Protection Regulation, or GDPR has now come into effect. Essentially it is a regulation in EU law designed to protect the privacy of online data for individuals within the EU. As such, any online service providers who work within the EU, or have members from the EU, need to address their online data privacy. I won't go into detail about what this regulation is, or how it is interpreted legally, in any articles here, but you can read about it online. Wikipedia has an overview. For a Moodle plugin developer, this means ensuring your plugin handles user data in accordance with this regulation. A plugin needs to be able to provide the data it stores for an individual user to that user upon request, and it needs to be able to remove a specific user's data if requested. Fortunately, Moodle has provided an API for plugin developers to do all of the heavy lifting for plugins. 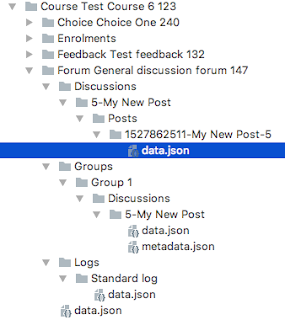 In this article, I will begin to learn about this API and implement it in a plugin, with the goal of making my questionnaire plugin GDPR compliant. A great place to start is this video that Moodle HQ put together, featuring the core developer Andrew Nicols explaining how to go about implementing this API. There is also the main Privacy API documentation and the Subject Access Request FAQ. To begin, I'll create a new branch for this work based on the 3.5 stable branch called M35_PRIVACY_API. My work for this will be tested on a Moodle 3.5 site. 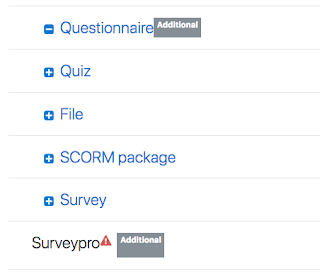 The questionnaire stores a user's response to all of its questions with a timestamp and the specific answers. This data is definitely personal data. The documentation indicates that my plugin must implement a relevant metadata and request provider. 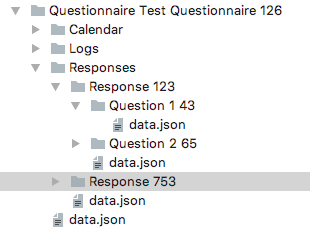 To do this, I must create a class in the namespace mod_questionnaire\privacy in a file named mod/questionnaire/classes/privacy/provider.php. And, since my plugin does store personal data, the provider class must implement the \core_privacy\local\metadata\provider interface. In order for it to export and delete user data it must also implement a request provider. For an activity plugin, I should implement \core_privacy\local\request\plugin\provider for the request provider. Note that there are other request providers your plugin might need, depending on whether they use other Moodle systems. The documentation talks about subsystems like ratings and tags, user preferences, and subplugins. Each of these has a different request provider interface that should be implemented. David Mudrack pointed out a document that listed these interfaces which helps. To be complete, my new class must implement the get_metadata, get_contexts_for_userid, export_user_data, delete_data_for_all_users_in_context, and the delete_data_for_user functions. This gives me the basic skeleton to work from. At this point, I can verify if the plugin API is seen by the Moodle site. To do this, I copy the new work into my development site's plugin directory. I can then go to the "Plugin privacy registry" page of the site, to see if my plugin shows up. This page is in the "Site administration / Users / Privacy and policies" section. On this page, I can open the "Activity module" section and scroll down until I see my questionnaire plugin. 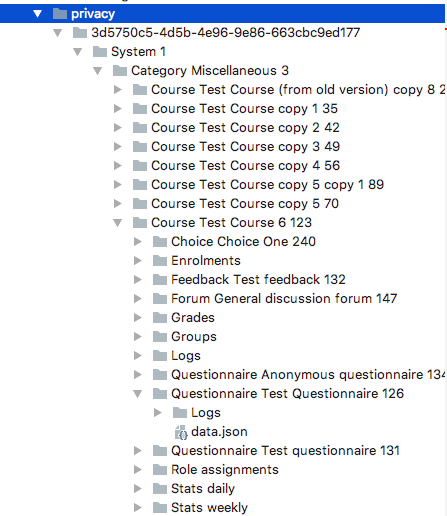 If it doesn't have a non-compliant icon next to it, then I have succeeded in making the API visible to Moodle. When I look, I see that I am moving in the right direction. The image below shows my plugin, and another plugin that does not have the API defined yet (on my site anyway). In part 2, I'll begin adding the code to complete this work. In October of 2017, I left the employment of Remote Learner. While I had technically not been working for them for almost two years, running Poet Open Source (previously The POET Group), my funding was coming directly from them. Our parting was civil, and they remain a company fully supportive of open source technologies such as Moodle and now Totara. I remain a firm believer in open source and its ability to strengthen, change and improve the world. Since my discovery of open source software over fifteen years ago, and Moodle shortly after that, I have become a supporter and proponent of free ideas, open collaboration and sharing of results. I believe that open source ideals can be applied to almost any solution, innovation and need - not just software. Going forward, I would like to see Poet Open Source grow as an organization that champions and helps move important projects forward, using open source methods and ideals. I would like to collaborate with and help organize like minded individuals and organizations. What and how Poet works on will be part of that journey. Moodle will remain to be an important part of my and Poet’s journey; I continue to develop and maintain important Moodle plugins, and I am on the Moodle Users Association committee. But I also believe there is more Poet can do, and will strive to find and contribute to those things. If you’re interested in the same and would like to join the discussion, drop me a line.